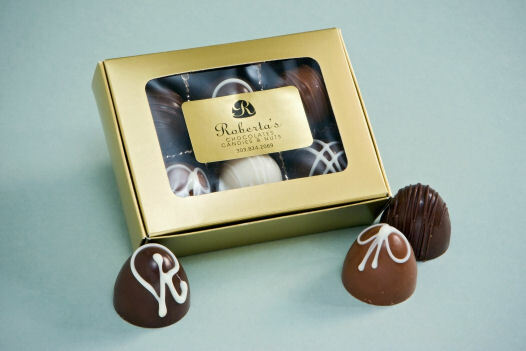 Roberta's favorite handmade truffles in a gold gift box. Double-bite sized decadence in 6 flavors: Irish Cream, Signature Chocolate, Milk Chocolate, Amaretto, Champagne and Kahlua. 5 oz.